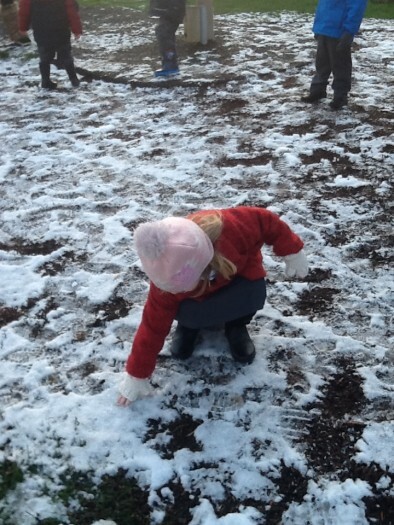 Redesdale Primary School » Snow Afternoon! 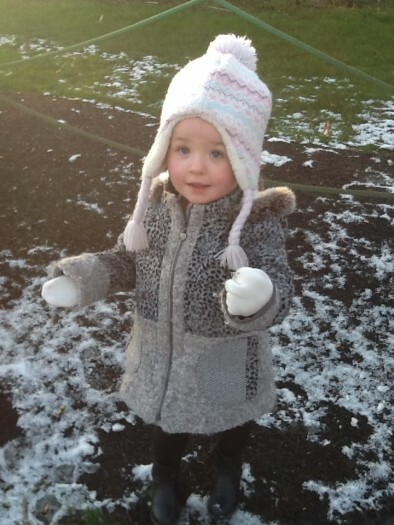 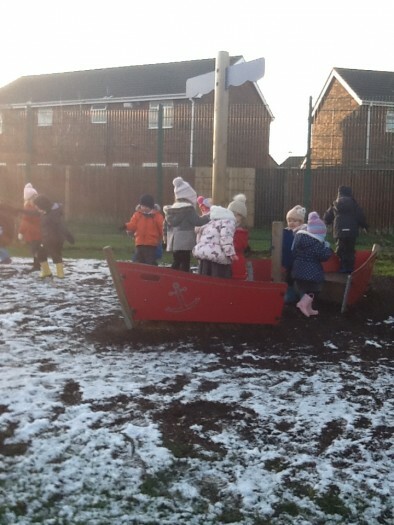 The Afternoon Nursery children enjoyed playing in the snow, although a lot of it had melted, we found lots of snow around the pirate ship so after an adventure of sailing through the Arctic (meeting some Polar bears along the way!) 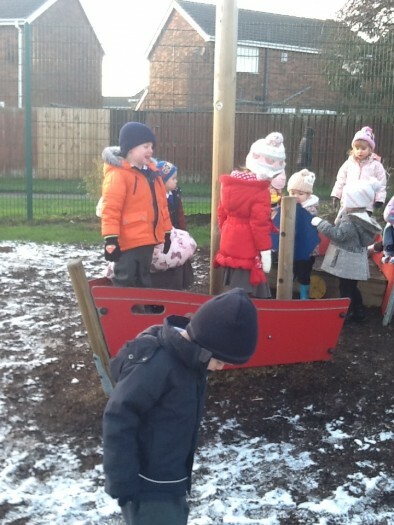 we decided to venture inside to warm up! 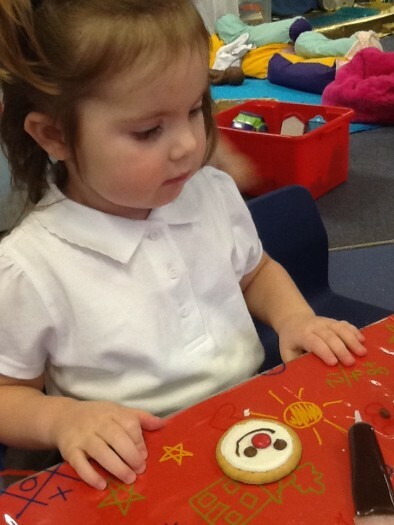 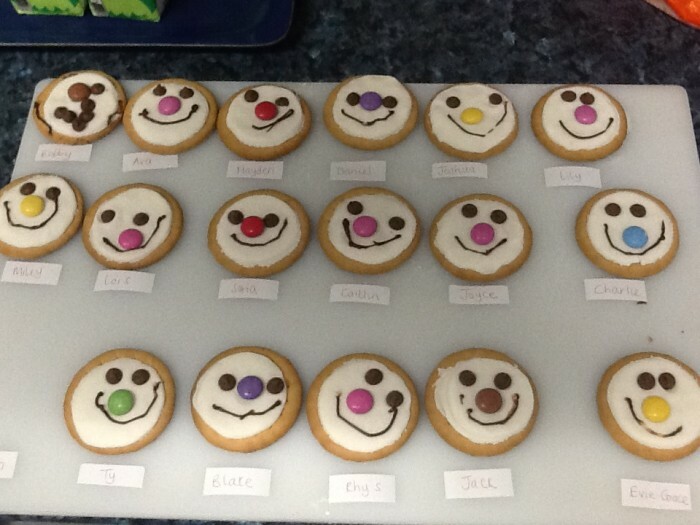 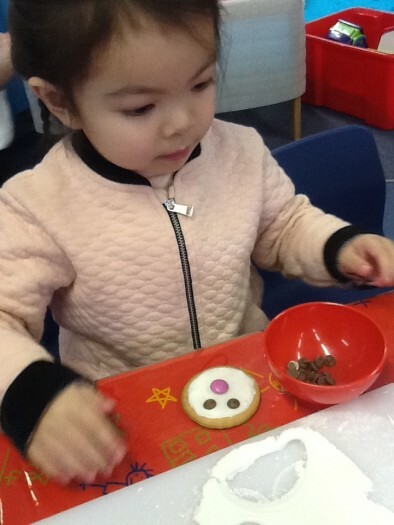 The children enjoyed decorating biscuits to make them look like snowmen, they looked fantastic and tasted delicious!